TortoiseSVN is an Apache Subversion (SVN) client, implemented as a Windows shell extension. It's intuitive and easy to use, since it doesn't require the Subversion command line client to run. 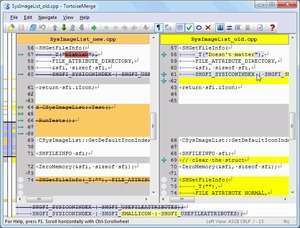 TortoiseSVN is a really easy to use Revision control / version control / source control application for Windows. It is based on Subversion. Version 1.11.1.28492 is a freeware program which does not have restrictions and it's free so it doesn't cost anything. For security reasons, you should also check out the TortoiseSVN download at LO4D.com which includes virus and malware tests. Additional screenshots of this application download may be available, too. TortoiseSVN download been highly rated by our users.